Get ready for robots and circuits, 3D printers and hand-made crafts, the Maker Faire is coming October 15-16 to Pittsburgh’s Northside neighborhood. Visit Buhl Community Park, the Children’s Museum, and Nova Place Saturday and Sunday from 10 am to 6 pm to explore, do fun hands-on activities, and (of course) make cool things. For many people, the internet seems like magic. How does it work with all those 1’s and 0’s? Join us in Nova Place to see the analogue side of the internet. 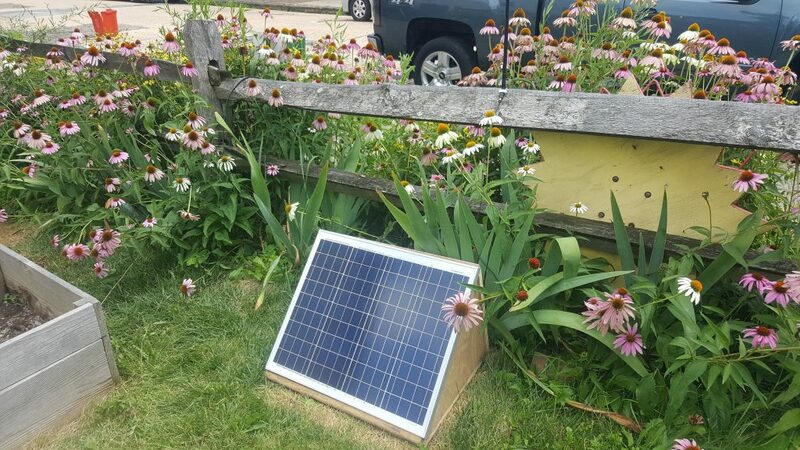 Based on our recent solar aquaponics-WiFi project in partnership with the Gardens of Millvale and Meta Mesh Wireless Communities, we will be demonstrating how to power a wireless router with solar energy. You will then be able to connect to the network with it and do other hands-on things like pump water. You will learn how this technology is being used to help manage stormwater throughout the City of Pittsburgh and across Allegheny County. 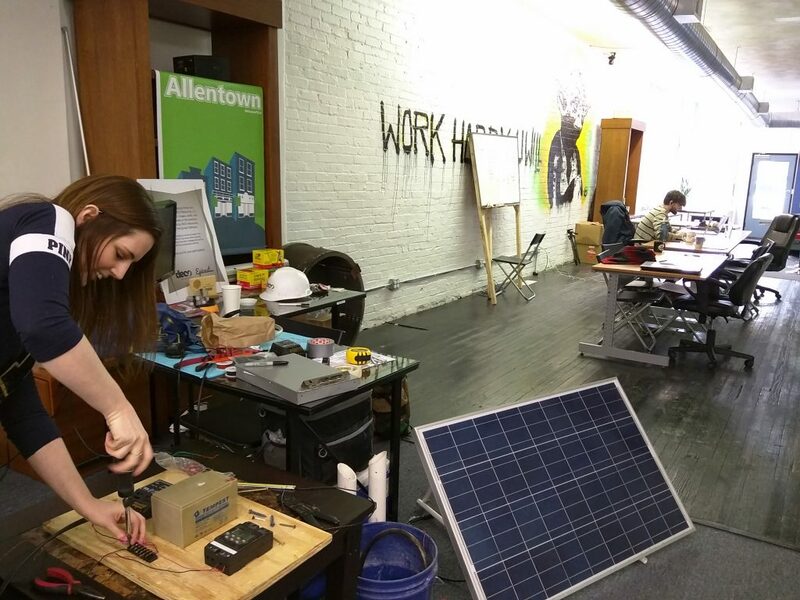 Chelsea working on the solar WiFi prototype at the Work Hard office in Allentown. Our team of consultants work with schools and educational institutions like libraries to demonstrate sustainable best practices. Often, the most effective way to communicate how and why we do things a certain way is through hands-on exploration. The Maker Ed field strongly promotes making and doing as a way of teaching for kids and adults. We are excited to use this Maker Faire as an opportunity to give participants a chance to play with the internet instead of staying home and playing on the internet. The “Lemon Wedge” solar WiFi hub providing free internet at the Gardens of Millvale. Join us at the Maker Fair Saturday and Sunday, October 15-16 from 10 am to 6 pm in Pittsburgh’s Nova Place.